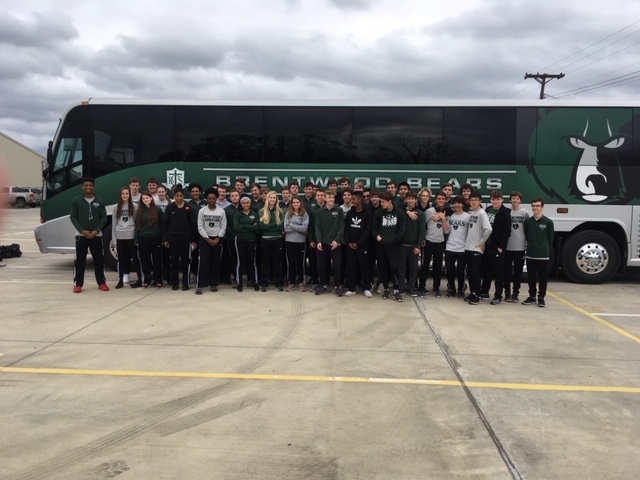 The Bears and Lady Bears had an exciting performance when they traveled to Yorktown for the last track meet before spring break. The two teams set eight school records on Yorktown’s new track. Kayla Mayo was the star for the girls as she set three school records. She threw the shot put 35’5” breaking her old record, long jumped 17’1”, and broke her old record by running 12.33 in the 100 meters. In the Varsity Boys division Sam Orick set a school record in the 100 meters by shattering the old record by 3 tenths and running 11.34. Gavin George impressed everyone by winning the 400 meters in a time of 53.31 and setting a record. Freshman, Chris Mayo, set a school record in the 200 meters while running 23.0. For the second week in a row the 4×200 relay team consisting of Sam Orick, Phillip Mach, Isaiah Davis, and Chris Mayo set a school record. The team ran 1:35.67. Freshman, Brandon Tindel, also set a school record in the triple jump by jumping 39’3”. The Varsity Boys won the meet with 151 points and Yorktown was second with 115 point in the 8 team field. The victory was the first win for the boys in recent memory. The Varsity Girls finished the meet in fourth place scoring 80 points. Both teams were missing several athletes that were gone on their senior trip.